When you think of Coke or Google you think of a brand that is ubiquitous which means ever-present and seen everywhere. Oprah is an example of a celebrity whose personal brand has become globally ubiquitous. 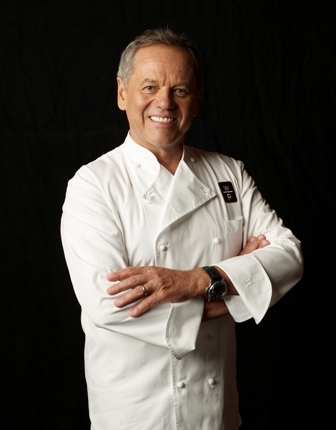 Wolfgang Puck is perhaps the best known celebrity chef in the world and he is also a ubiquitous brand. We first met Wolfgang Puck in the early 1970s in Los Angeles where he was both a rising star as a chef and part owner of Ma Maison restaurant. Since then he has opened countless high end restaurants, casual dining bistros and airport eateries. In the early 80’s he catered and personally served his famous smoked salmon pizza at a special event that we attended at Saks Fifth Avenue in Beverly Hills. He now has catering facilities in twelve major US cities. His high profile catering gig, the Governor’s Ball at the Academy Awards, is now world renown. With cookbooks, cookware, a frozen food line, TV shows, radio shows, internet programming, plus much more, Wolfgang Puck’s empire exemplifies what a personal brand can become. What is truly remarkable is that he has sustained top of mind status and quality in everything he touches over such a long period of time. Almost 30 years after our first Puck encounter, we were guest speakers at the Who’s Who in Luxury Real Estate event last fall in Vail, Colorado that was held at the Ritz Carlton Hotel (Bachelor Gulch). His restaurant was featured there and so was his organic coffee, which is absolutely one of the best we have ever tasted. When we found his coffee in our local market, here in Santa Barbara, it seemed heaven sent. Without the Puck brand, the same coffee, could have sat on the shelf and gone unnoticed. After all, coffee is the 2nd most ubiquitous commodity on the planet, next to oil. But, the trust factor of the Wolfgang Puck brand, his promise of value and quality that has been sustained over a major part of our lifetime has made us loyal customers. You may not be interested in global brand ubiquity for your personal brand. But, if market leadership is your quest as a luxury real estate marketing professional, becoming a household name and maintaining your visibility over time in your local marketplace, should definitely become your aim.